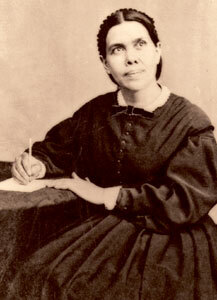 The video below is a documentary of the life, false doctrine, and false prophecies, of Ellen G. White. This film shows that her religion of Seventh Day Adventism is not a Christian denomination at all, but is simply a cult, that started out as a doomsday cult, and has evolved into a false religion that tries to portray itself as a mainstream Christian denomination. This documentary makes it clear that the religion of Seventh Day Adventism is rooted in lies, and operates under deception to the present day. Furthermore, there is no need for anyone to be confused about Adventists, because it is not a religion based upon salvation by God’s grace through faith in Jesus Christ, because it is a works-based religion. I knew about the ‘Saturday only’ thing with the 7th DAs but thought they were Christians, so thanks for this. Do they have a big following? I thought that the SDA’s might be a Christian denomination as well, until I started attending their Bible studies, and realized that it was just as legalistic cult. No, I don’t have a large following.